Just four teams remain in postseason play, with all four boasting at least one former Omaha player on their roster or coaching staff. Thanks to this development, an Omaha alum will win the World Series for the seventh straight season. Among those players, the Milwaukee Brewers boast the highest number of former Storm Chasers players, featuring five including outfielder Lorenzo Cain (2011-12, 14, 16), infielder Mike Moustakas (2010-11, 14), catchers Erik Kratz (2015) and Manny Pina (2010, 11, 13), as well as pitcher Jeremy Jeffress (2011-12). 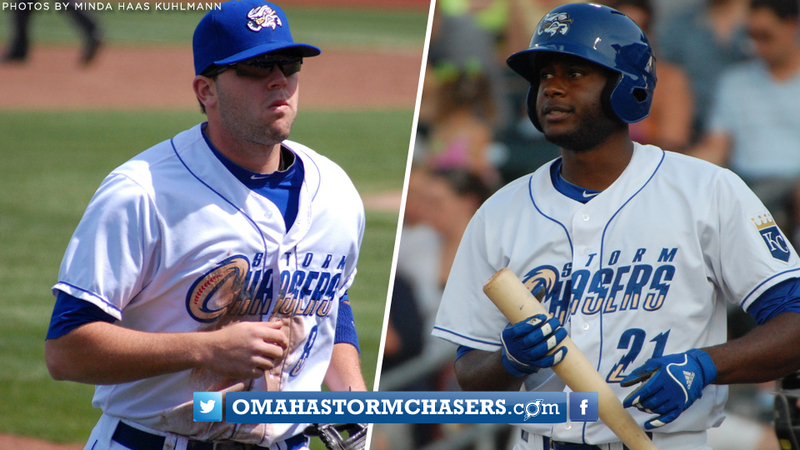 In 382 combined contests with the Storm Chasers in their respective careers, Cain, Moustakas, Kratz and Pina posted a .282 average (403-1429) with 218 runs, 87 doubles, eight triples, 56 homers and 239 RBI. Jeffress in 53 appearances with Omaha accumulated a 7-7 record and 5.60 ERA (51 ER/82.0 IP), along with five saves, adding 85 strikeouts. Moustakas and Kratz have made their presence felt on the offensive side, including an extra-innings walk-off single from the former in Game 2 of the NLDS against the Colorado Rockies, while the latter has collected five hits in eight postseason at-bats, driving in two runs. Jeffress, meanwhile, have appeared in three postseason contests, which includes one save while striking out four in 3.1 innings of work. The Los Angeles Dodgers sport southpaw reliever Scott Alexander, who pitched with Omaha during parts of the 2014-17 seasons. Alexander threw a scoreless frame in Game 3 of the National League Division Series versus the Atlanta Braves. In 81 total outings with the Storm Chasers, Alexander compiled a 6-5 mark and 3.38 ERA (45 ER/120.0 IP), adding 15 saves while striking out 91. On the American League side, Houston Astros manager and 2001 Omaha Golden Spikes catcher A.J. Hinch looks to lead his club to a repeat of last year's World Series Championship. Hinch skippered the Astros, joined then by fellow former Omaha outfieder Carlos Beltran (2000) and hitting coach Rich Dauer (1993) in winning that year's Fall Classic. Hinch in 45 games with the Golden Spikes in 2001 posted a .321 average (54-168), adding 28 runs, 14 doubles, ten homers and 33 RBI. In his six seasons as a manager with the Arizona Diamondbacks (2009-10) and Astros (2015-Present), Hinch has accumulated a 463-397 record (.538). The Boston Red Sox feature a trio of Omaha alums on their coaching staff in first base coach Tom Goodwin (1994), third base coach Carlos Febles (2000-03) and assistant pitching coach Brian Bannister (2007, 09-10). Goodwin and Febles in 171 combined contests with Omaha posted a .299 average (196-655) with 113 runs, 34 doubles, nine triples, six homers and 59 RBI, in addition to 61 steals. Goodwin's 50 thefts in 1994 are the fifth-most in a single season in Omaha franchise history. Bannister in ten starts with the O-Royals accumulated a 1-3 record and 3.07 ERA (14 ER/41.0 IP), adding 25 punchouts. An Omaha alum has been a member of each of the last six World Series-winning clubs dating back through 2012. Hinch, Beltran and Dauer won in 2017 with Houston. Lefty Mike Montgomery earned the save in the deciding seventh game of the 2016 World Series for the Chicago Cubs, while 14 former Storm Chasers players won the 2015 Fall Classic with the Kansas City Royals. 2011 Omaha outfielder Gregor Blanco earned a World Series ring with the San Francisco Giants in 2014 and 2012, while 2013 Storm Chasers outfielder Quintin Berry went on to win the World Series with the Red Sox later that season. The 2018 National League Championship Series between the Brewers and Dodgers begins on Friday evening, while the American League Championship Series pitting the Red Sox against the Astros starts on Saturday night.